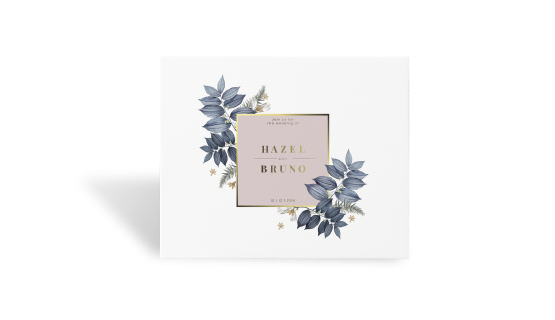 Wedding card invitations are an integral part of every wedding ceremony. Invite your friends and family along to your special day with a personalised invitation. High-quality wedding cards are also a great keepsake for you, and your friends and family. To make your day perfect, Gogoprint offers a wide variety of wedding card printing options. Choose different formats, paper type, and finishing and place an order right now to get free and fast delivery across the country. Our most sturdy and premium paper. Elegant and professional feeling, perfect to bring out the excellent image and color.